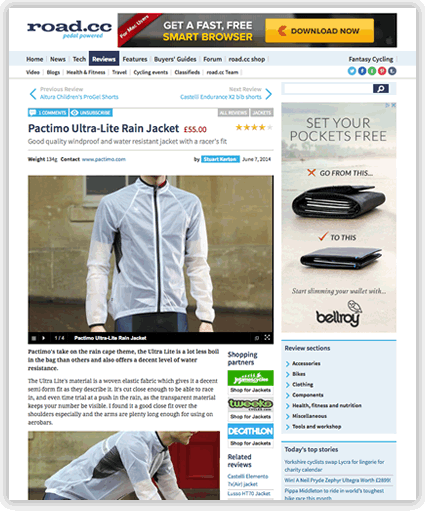 Pactimo’s take on the rain cape theme, the Ultra Lite is a lot less boil in the bag than others and also offers a decent level of water resistance. The Ultra Lite’s material is a woven elastic fabric which gives it a decent semi-form fit as they describe it. It’s cut close enough to be able to race in, and even time trial at a push in the rain, as the transparent material keeps your number be visible. I found it a good close fit over the shoulders especially and the arms are plenty long enough for using on aerobars.